Great idea from Zomoc.com - wonderful for parties! Quick, easy, and to the point! Fantastic Tutorial from Imperfectly Perfect! We love the fact that this project is easy, free, and using recycled products! 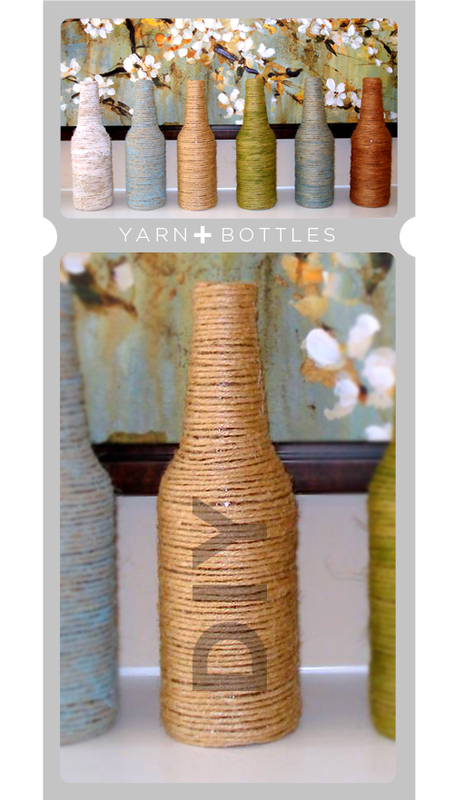 So easy, and a great way to upcycle / reuse those wine corks! Don't have wine corks saved up? Hit up your local wine bar or restaurant and ask them to save some for you for one night - you'll have plenty! They usually have no problem saving them for people, you just have to ask! This Bulletin Bar keeps bulletin board overlap at bay while doubling as a recycling project: It uses up all those corks you've been saving for no particular reason. To make one, simply glue the corks side by side onto a yardstick or similar strip of wood. Uhu brand "natural materials" glue works well, as does hot glue, and you'll need about 45 corks per yard. Do not glue the first and last cork on either end of the yardstick--that's where you'll fasten the bar to the wall. Let the glue dry, then screw or nail the board to the wall. Glue the last cork on each end after you've screwed your board in place on the wall. 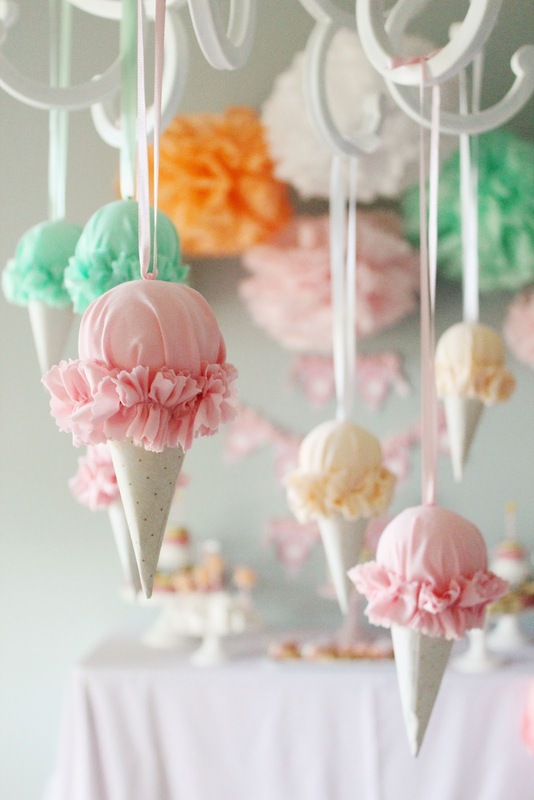 Adorable and great for just about any party you could ever want to have! 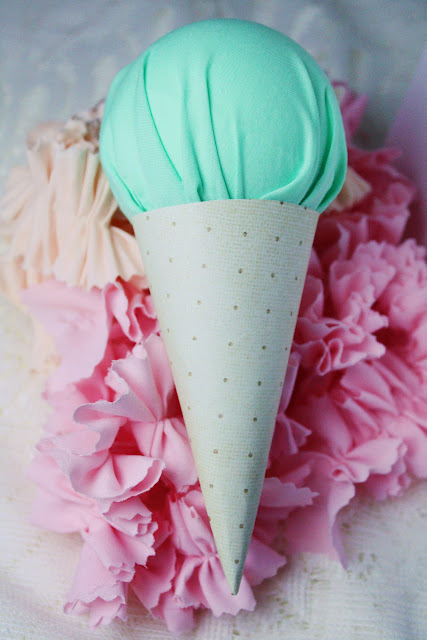 Check out Icing Designs blog for more fun tutorials! Cut fabric into strips about 44" long x 1.5 " wide using pinking shears. Sew down the middle of the strip, ruffling fabric as you go with sewing machine. You can also ruffle the fabric by hand if you do not have a sewing machine. Your finished ruffle should be 8" long. 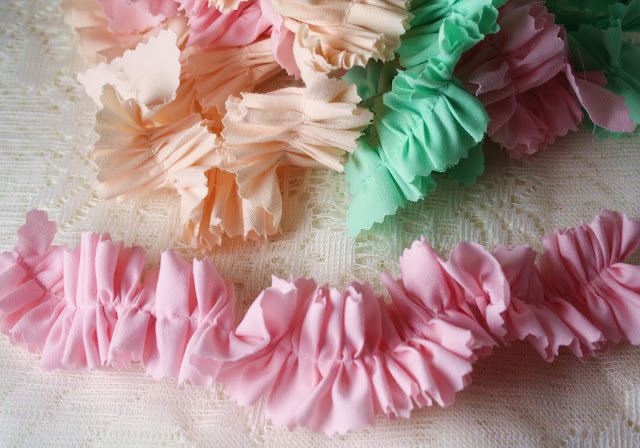 You could also use pre-ruffled fabric or ruffle trim if you do not want to make your own! Trace cone template onto your paper and cut out. Glue edges to make cone shape. I recommend not using hot glue for this step since you need a bit of extra time to get the edges together just right. Fill your cone with stuffing to help hold the shape. Cut a circle roughly 8" in diameter out of your fabric. 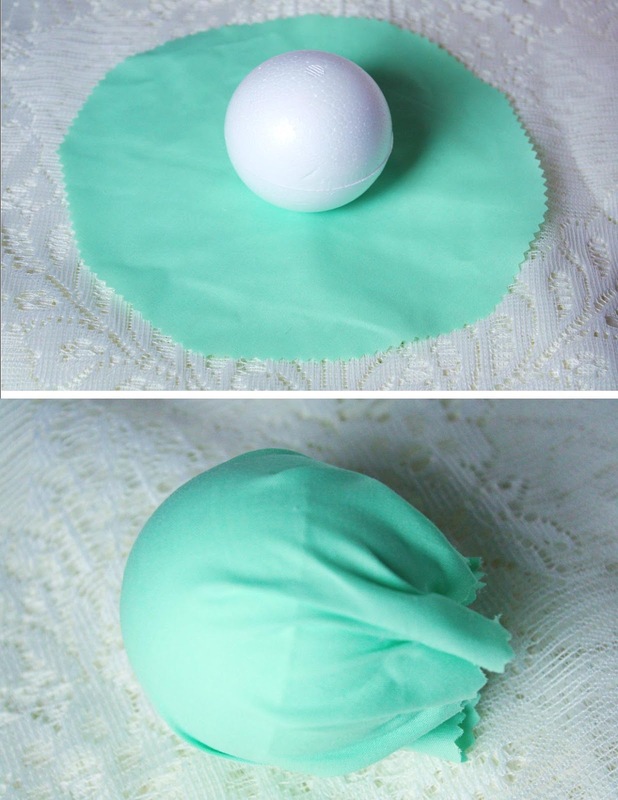 Wrap the fabric around the ball and hot glue to bottom, gathering as you go. Do not worry about how the bottom looks, it will be hidden inside your cone. Place hot glue around inside edge of your cone and stick the covered styrofoam inside. 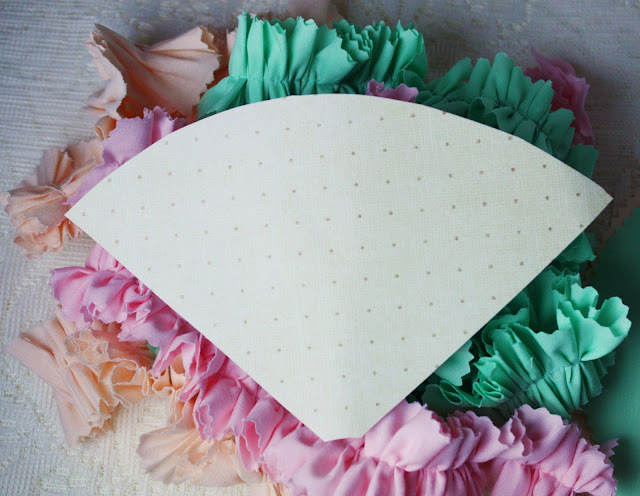 Hot glue your ruffle around the top of the cone, twisting as you go around. Be sure to glue it to both the paper and the styrofoam ball. 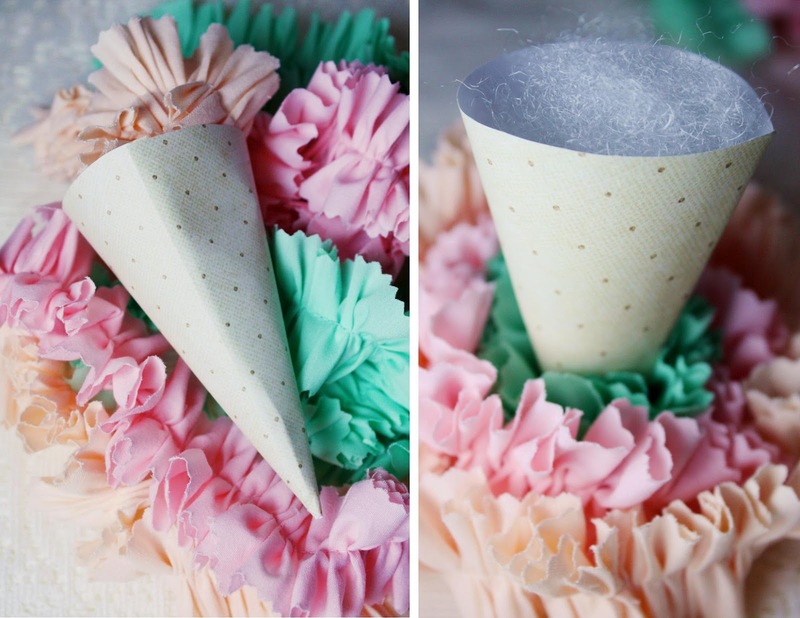 If you would like to hang the cones, cut ribbon to desired length and use a pin or hot glue to secure it to your ice cream! 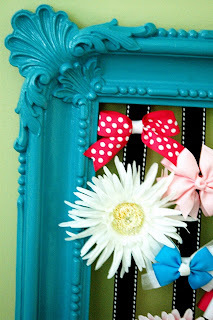 OMG - We LOVE, LOVE, LOVE this DIY tutorial from Sarah Hearts!! What a great way to jazz up a picnic table - consider this one for your Fourth of July party and just use Red and Blue tape to make it themed. How much more fun can you get? She has a bunch of super cute tutorials and some FREE printable labels for special occasions, so check her out! The following directions are based on the craft from Martha Stewart. The tutorial on her site said to hold the basket together with a rubber band. I think that would be cute, but I love love love washi tape so I decided to use that. You can use either method, if you find another way to hold the basket together, please let me know. 1. You will need the following supplies: white paper plates (1 plate per basket), scissors, paper edger scissors (I used my pinking shears), a ruler, pencil, washi tape or rubber bands, and 4 paper clips. 2. Using the paper edger scissors or pinking shears, trim about 1/4″ off of the circumference of the plate. 3. Flip the plate over so the front side is facing down. Use the pencil and ruler to make a 9-section grid. Try your best to make the center square in the center of the plate. If you want you can measure it. 4. Use the regular scissors to cut a slit along every other vertical line. Stop cutting where the vertical line intersects with the center square. 5. Fold one side at a time up to form the “basket”. Use one paper clip to hold each side together as you assemble the basket. 6. Use washi tape and wrap it around the basket and then remove the paper clips. If you are using rubber bands, simple wrap the rubber bands around the basket. And you’re done! Now fill them up with summer treats! Pieces of Anna has a great tutorial on how to upcycle those wine / beer bottles into amazingly fashionable vases that would be ideal for a gift or for your own home! I would love this!! Can't wait to try it. Be sure to check out their page for more inspirational DIY projects! We LOVE this remodeled bottle from Turnstyle Vogue's blog. Head their way to check out all their tips and tricks to creating this masterpiece yourself!! Although I removed the label from the top, the wording on this bottle is actually raised lettering that could not be removed. However, sanding the bottle worked perfectly. After I cleaned it up, I sprayed it with a metallic bronze spray paint. I then started to work away with ASCP in Provence. This shows the first coat but I ended up doing two coats. I then got my 80 sanding block and started distressing the raised areas, sanding down to only the metallic paint in some areas and all the way down to the glass in others. I used dark wax to create a light patina. I chose to leave the lid metallic, but with the same distressing. I can see a really cool monogram or stencil right in the middle, can’t you? My daughter really likes this color so she will be taking this home with her. I’ll let the new owner decide about a stenciled embellishment. 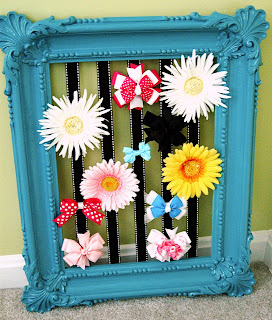 U Create has an amazing and practical way of creating a DIY Hair Bow Holder using a frame and some ribbon! Be sure to check out their website for more fun crafts! Flip the frame over and measure ribbon to stretch from top to bottom with a little extra and hot glue (I'd use a staple gun if your frame is made of wood) the ribbon, evenly spaced (mine are about 2 inches apart) to the top. WA LA, you have a "funky bow holder thingy". It's like art with a purpose... I love multi-tasking! 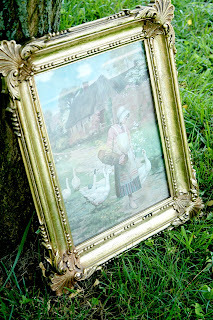 Oh my goodness, I'm off to Goodwill, I need another funky frame quick! Make Your Own Mod Podge / Decoupage at Home! Using Pencil Erasers as Stamps! DIY Yarn Wrapped Letters for under $2 each!